Winter brought together everything I have come to love from the Lunar Chronicles and formed a conclusion to the series which I found to be extraordinarily satisfying. I thought this was a really well-rounded book which managed to focus enough on each of the main characters: Cinder, Scarlet, Cress, Winter, Kai and Levana all have plenty of chapters here. As well as features from the likes of Thorne, Jacin and Wolf. I really liked Winter as a character. I thought she was a bit creepy but in an almost ethereal way. I was really interested in her character, especially having already read Fairest and knowing how she came to be Levana’s step-daughter. I really loved the message that was given by the reference to Winter’s breathtaking beauty despite the scars on her face. I liked how this was done and I also thought that her mental illness was well portrayed throughout the story. Levana is just as evil as ever, in fact, even more so. I think she has become one of my favourite fictional villains of all time. She is so, so cruel and has absolutely no empathy for those around her. She really does do some awful things in this book but she definitely made it exciting. Cress and Thorne were as adorable as ever and I loved that they shared some really touching moments during this book. Cress is one of my favourite characters in the series and I loved seeing her come into her own. Scarlet and Wolf were also rather adorable. I actually really liked that we got to see more about Wolf’s life on Lunar and his emotional side was more exposed too. I just can’t get enough of Cinder and Iko. I love, love, love their characters and Iko is beyond hilarious. She has some really witty lines and is the funniest character by far but she also shares some really emotional moments in this book, which was an interesting twist for the android. Cinder was a complete and utter badass in this book and I really loved how this one ended. The writing style was simple yet effective. It kept me hooked throughout and I could easily flick through 100 pages without even realising. I love that the chapters are kept fairly short and that they were written from so many different points of view. I thought this helped to build the tension throughout the story. The characters. I’m pretty sure I’ve said this on all the reviews I’ve written of the Lunar Chronicles but honestly Marissa Meyer has created such AMAZING characters in this series and I’m sad to be leaving them behind. 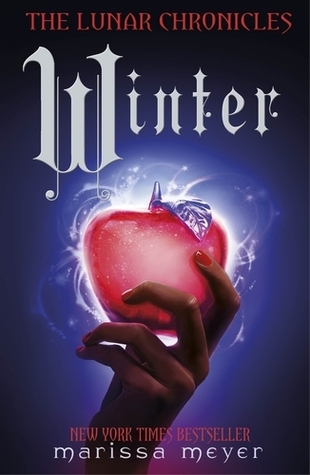 I love what she did with the Snow White story in this book and Winter was a precious addition to Cinder’s beloved crew. This was definitely a great ending to the series. I could genuinely go on all day about how much I loved this book and the series as a whole, but all I really want to say is that if you haven’t read the Lunar Chronicles yet, please go and do so! You won’t be disappointed!! Have you read Winter? What did you think? What is your favourite book in the Lunar Chronicles? I *adore* The Lunar Chronicles. I think that Cress is both my favorite character and my favorite book. But it’s so hard to choose! They are such unique and beautiful characters. Winter really touched my heart, though. I also love The Lunar Chronicles! I’m so glad I gave into the hype because they completely exceeded my high expectations! Such great books! I can’t wait for the graphic novel addition to the series in January!